Really, I didn’t intend to post a series on cabbage transportation. But I came across this picture in Jerry’s archive the other day and thought it fitting. Here we have workers moving hundreds of cabbages from an oxcart to a cargo truck along the highway between Aungban and Pindaya. 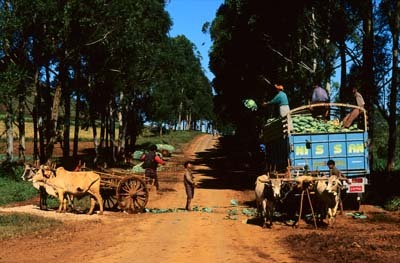 All in all, across much of Asia, this is a far more common mode of produce transport than planes, trains or semi trucks.